Our butterfly garden will help put the butterflies back for us to enjoy. Have you noticed we don`t see as many as we used too. Maybe you are too young to compare a few years back with today that there is a decline in those beauties of nature. How would you like as part of your summer nature crafts to raise some caterpillars and watch them slowly turn into butterflies? Yup! Real live butterflies! You are responsible for feeding them and placing them in a protected environment where you can observe and make study notes each day as you witness metamorphosis take place. That`s exactly what we prepared to do. 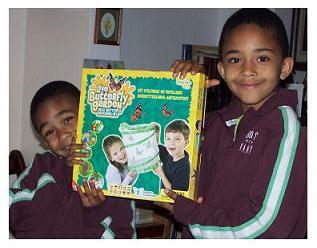 Our butterfly garden kit arrived and we were soooooo happy! It`s a big hit with the kids at school so you may have participated in this before. James had and was excited as ever to do this project out of school. But where were the caterpillars? Ah! They don`t come with the kit. You gotta order them separately. Depending on where you live they can take from 5 to 21 days to arrive, and that`s from the day you order. So we booked for June 6 and expected them anytime around the 11th. You can however have them ordered the next day during peak season. In the mean time we read up to find out which butterflies breed here in London, and along with the kit came some instructions to get familiar with, and some butterfly pictures to color in. But what kind of plants did we need to be growing in our gardens to attract butterflies to stop by? Kool kids Crafts went out to investigate. Which Flowers Do They Like? OK! Golden Rod! We have some of that in our garden already. 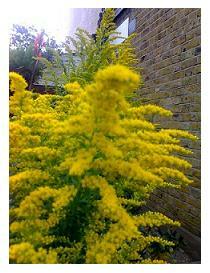 That`s the tall semi-wild shrub with bright yellow flowers. Ragwort is another yellow daisy-looking semi-wild flower that will entice them to flutter over the fence. 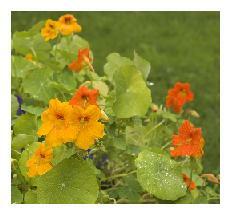 The orange-red flower is called Nasturtium. Many people grow that here. You can even eat it in your salad, flower and all. The large white butterfly also likes it as a salad. They also love the more cultured flowers. Echinacea in all it`s variety of colors will make your garden stunningly attractive not only for the painted lady butterflies in the kit but your friendly neighbors too. Ok! June arrived. and so did the caterpillars. They were all healthy considering the postman did not leave them with a neighbor as instructed and they were in the post depot all through the weekend, in the cold! 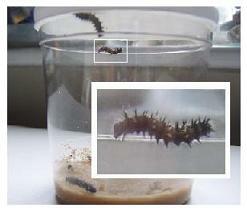 As soon as we took the pot out of the cardboard box the caterpillars began to move towards the light. There was plenty of food for them and they proceeded to weave silk around the edges of the pot. Four were equal in size but the 5th one was much smaller but it stayed alive and moved quite well around the pot. See how one had climbed to the top. But it was far too early to change into a chrysalis yet. Now we needed to make sure they were in a warm room and not in direct sunlight. 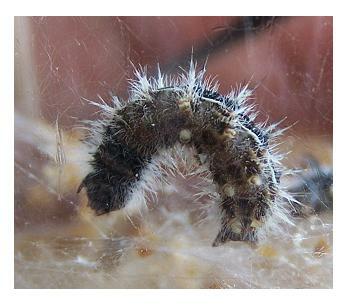 The caterpillars had almost doubled in size after a week. They sure had healthy appetites. The food was being devoured fast. 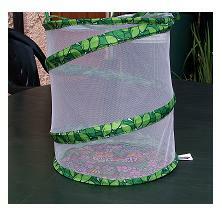 Our butterflies all but 1 started the metamorphosis stage. Two days later the last of the 5 also changed. Up close, the chrysalises were a rich golden color with what looked like gold studs. Wow! 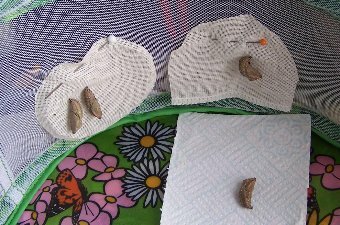 1 1/2 weeks later we had 4 butterflies emerge. The 5th split its protective casing and climbed out in 2 days following the others. 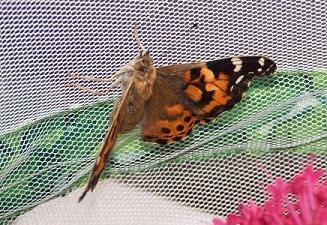 See the video bellow where I grabbed by camera and started filming one butterfly emerging from its chrysalis. You will have to excuse the lighting as I didn`t have time for that. Butterflies don`t wait for the clip-board and action, they just get on with it. With a plant terrarium and a caterpillar nursery to look after, can we take on any more nature crafts? You bet!